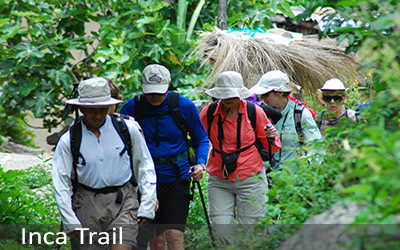 Get to Machu Picchu like the ancient Incas and follow the old Inca Trail to the Sun Gate. 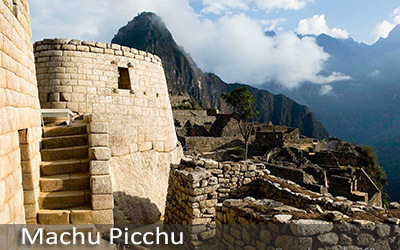 Stay one night in Machu Picchu town, Aguas Calientes and use the following day to enjoy a guided tour of the impressive site, including its houses, aqueducts, temples and terraces. 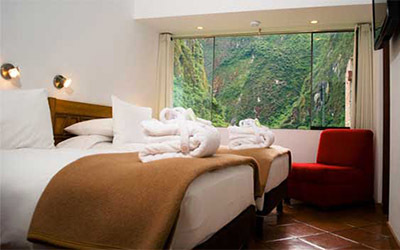 Today, we will pick you up from your hotel and take you to the train station in Ollantaytambo. Upon arrival to KM104, you will have time to prepare for the trek and to have a light snack. Your trek starts from here (altitude of 2100m, 6900ft), where you will trek uphill for approximately 4 hours to WiñayWayna (altitude of 2700m, 8850ft. 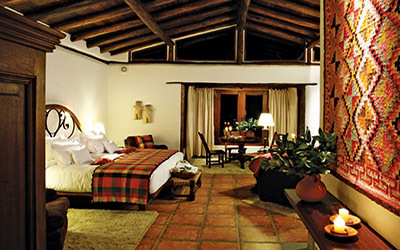 From this point, you can see the impressive agricultural terraces overlooking the Urubamba River. Upon arrival to WiñayWayna, you will enjoy a box lunch before making your way to the spectacular Sun Gate ‘IntiPunku’ (2730m/8792ft), where you will have a breathtaking view overlooking Machu Picchu, ‘The Lost City of the Incas’ and the beautiful surrounding mountains, including Wayna Picchu. We will finish the day in the town of Aguas Calientes with a delicious dinner at a quality local restaurant (not included). This morning, your tour guide will meet you at your hotel and transfer you to the ruins for your tour of Machu Picchu, ‘The Lost City of the Incas.’ At this spectacular sacred Incan site, you will learn about the history and visit the truly remarkable Temples of the Sun and the Condor. 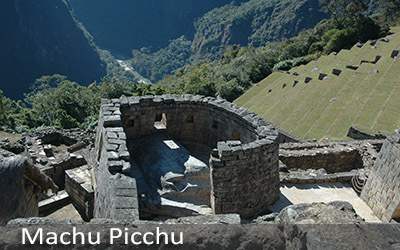 You will also see the aqueducts and houses while learning some interesting facts about the Incan Sacred Terraces. After your guided tour, you will have plenty of time to explore this truly magnificent site on your own. There are many short trek options, such as the one to the Sun Gate for an impressive view overlooking Machu Picchu and Wayna Picchu or a visit to the Incan Bridge, a secret entrance for the Incan Army. 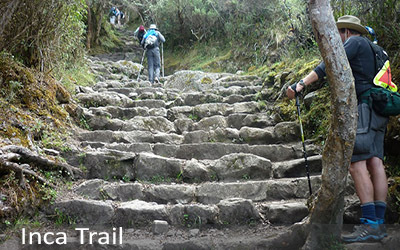 The most adventurous trekkers should not miss the famous mountain climb to the summit of Wayna Picchu, which can be scheduled at either 7 am or 10 am; however, there is a limit on the number of people who can climb each day so you will need to book it with us in advance.In the afternoon, you will return back to Aguas Calientes in time to for your train to Cusco. 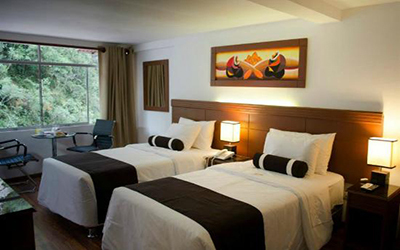 Upon arrival into Cusco, we will transfer you to your hotel. Accomodation in a 3* hotel. Accomodation in a luxury hotel.